I’m still not totally accepting of the fact that I am home from Lanzarote and back in boring Wigan. Nope. Hopefully, with Spring officially here, the weather will start to look up. Can’t say the same for work though haha! Anyway, whilst in Lanzarote this year, we decided to go on a tour. There are a lot to choose from – some just half days, some full days – and we chose the ‘Short South Tour’. The full days mostly just included a meal as an extra, and with me being vegetarian and my cousin vegan, it just probably wasn’t worth the fuss. Looking through the options, the Short South Tour sounded pretty good, and included a camel ride opportunity, wine tasting and then volcanic experiments and views. As we drove into the area, we had some lovely views from the coach and a great tour guide telling us things about Lanzarote and the island. When rain clouds appear and it starts to rain, you usually only get a few minutes worth of rain because it can get so windy that the clouds just get blown away so quickly! It rained a few times whilst we were there, but only ever for a couple of minutes if that. I think that’s so fascinating haha! 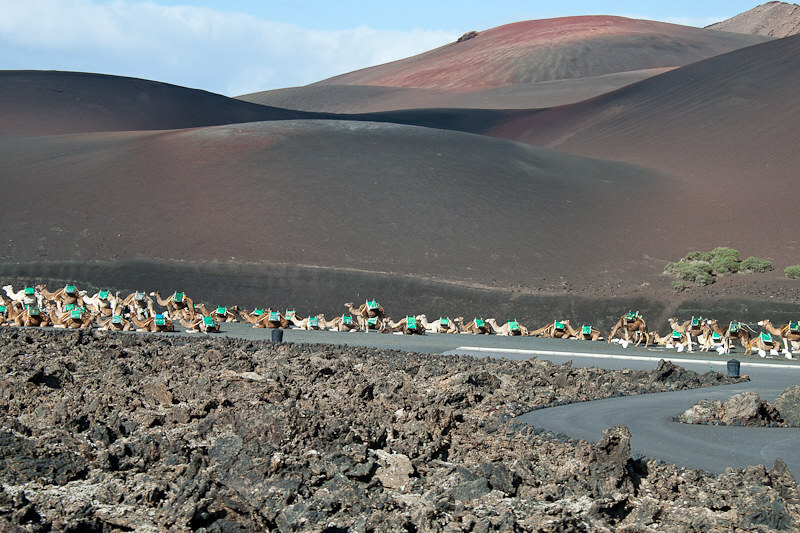 “Lanzarote has on average around 5 days of rain per year. About the same that England gets of sun.” Funny. Sadly not far from the truth! 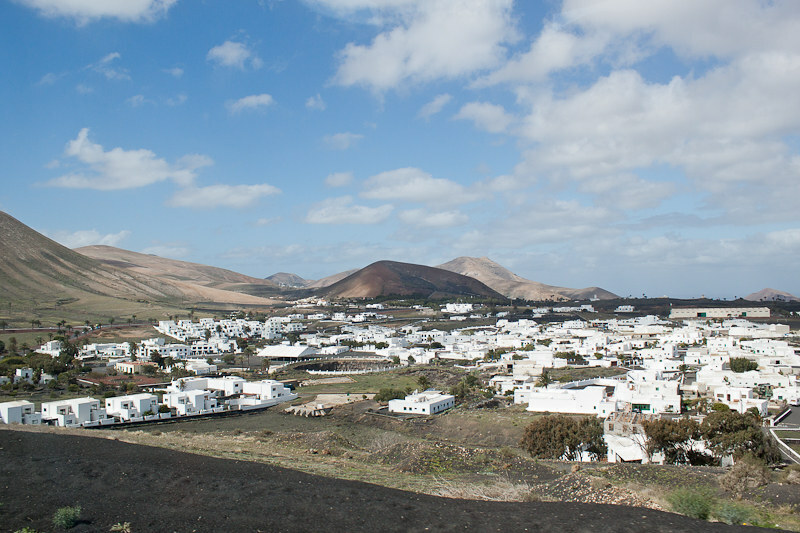 We also discovered on the journey that the buildings in Lanzarote are painted white to contrast the black volcanic landscape. If you decide you want a differently coloured house, you’ll be paying up to 2000 € every year it isn’t white! Damn. Traditionally, all houses inland have green windows/doors, and the ones on the coast have blue to reflect the sea. I’d always wondered why every building was white and green/blue, thinking it was actually something to do with the sun. Modern houses tend to have brown windows/doors – but I like the reasoning behind the green and blue! Next up – wine tasting! I’m not a big wine fan. I could drink one glass and probably be drunk, but nevertheless I wanted to try them. 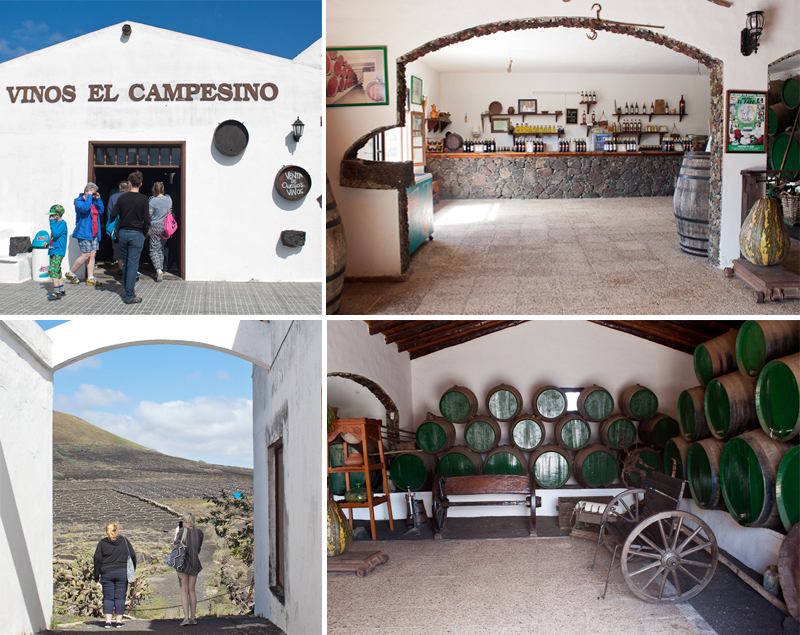 We headed to the wine district of Lanzarote – La Geria. 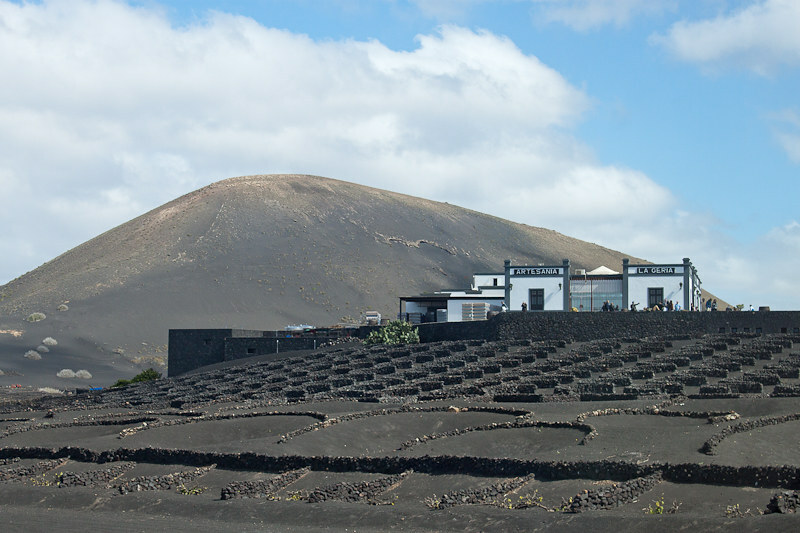 Grown in the surrounding areas, the vines are planted in craters dug into the black fields. Quite a sight to see hundreds, thousands of circles on a black landscape. These craters are protected from wind erosion by the natural lava stones, built up to create a wall. You can see what they look like below! When we walked into the building, the smell was so strong and overwhelming. I suppose if you are some sort of wine connoisseur you may enjoy this smell. It was fine once you’d gotten over that initial shock! How was the wine? Well we tried a white and a red, and I really thought I’d hate the white and like the red. Wrong! The white wine was actually quite soft and sweet. Nothing like the white wines I’ve previously tried ha! The red wine was really sharp and quite tangy, and I didn’t like it at all. Took one swig and that was it – off to my mum so she could finish it. 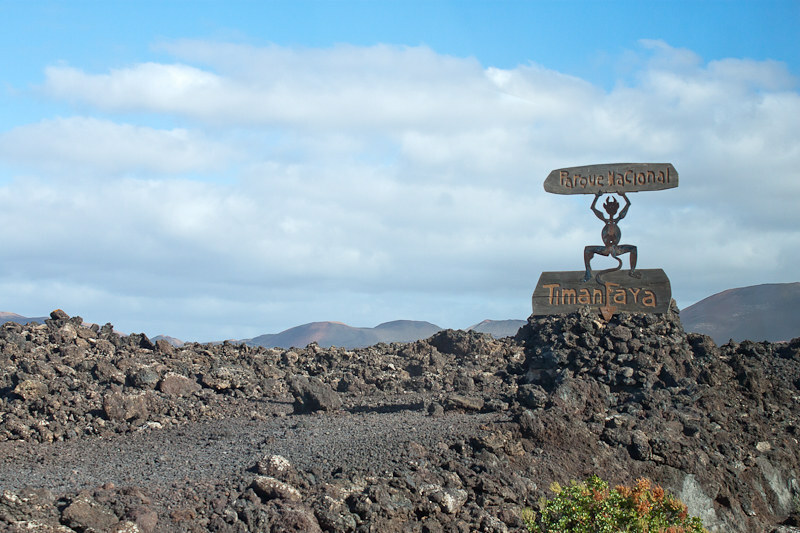 Finally, we headed towards the Timanfaya National Park. On the drive up, we could see miles of land affected by previous volcanic eruptions. Just loads of lava fields, everywhere. It was pretty, and still a strange sight to see. We also got a small glimpse of actual grass – on a roundabout. Apparently grass is hard to come by in Lanzarote. We drove up a really steep hill, parked the coach on a precarious angle and headed towards the ‘experiment’ centre. First up, our group were told to stand in a circle. 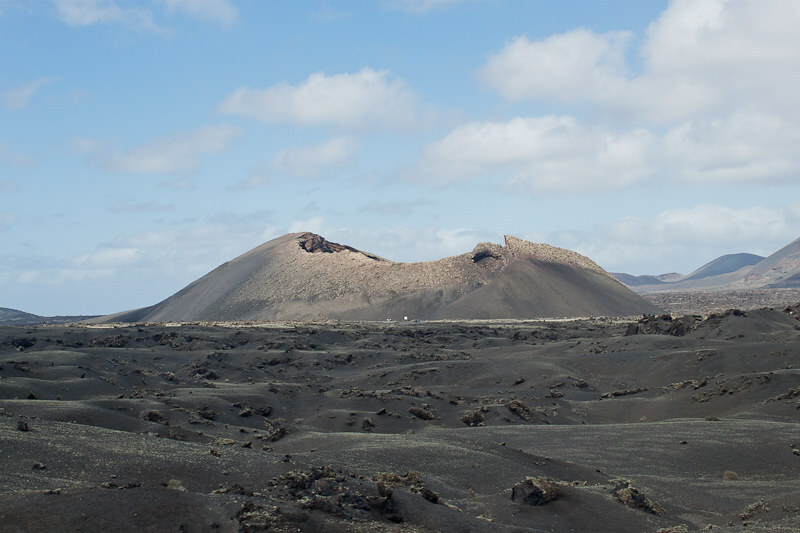 This area was known to be the hottest bit of land in Lanzarote. You could actually feel the heat through your shoes! The kind man who was working there dug up some of the stony ground and put a bit in everyone’s hand. It was bloody hot! A lot of people dropped it straight away from the shock, others – like me – just quickly kept passing the stones from hand to hand because it was so damn hot. Then we moved on to a hole in the ground. Because of the heat from the ground, when the guy shoved a load of dry hay type material into the hole, it just set on fire straight away. Pretty crazy. Then we were onto the hot steam. This guy put water into a hole (i think?) and this huge billow of steam followed. I was sad that he’d done the one on the far left for us, but the group before had the middle one and I’m guessing you have to give it a few minutes before trying again. The final experiment was to see how they cooked food there, just from the heat of the ground – no fire. Although this small room stunk of chicken, it was interesting to see. Overall, the experiments were interesting, and I enjoyed seeing them and hearing the information at each step. The downside for me is that it felt rushed. You could tell it was a popular tourist attraction, as you were just quickly moved through each station ready for the next group. Not much time to just look and reflect. I can only imagine what it would be like in Summer at peak season! 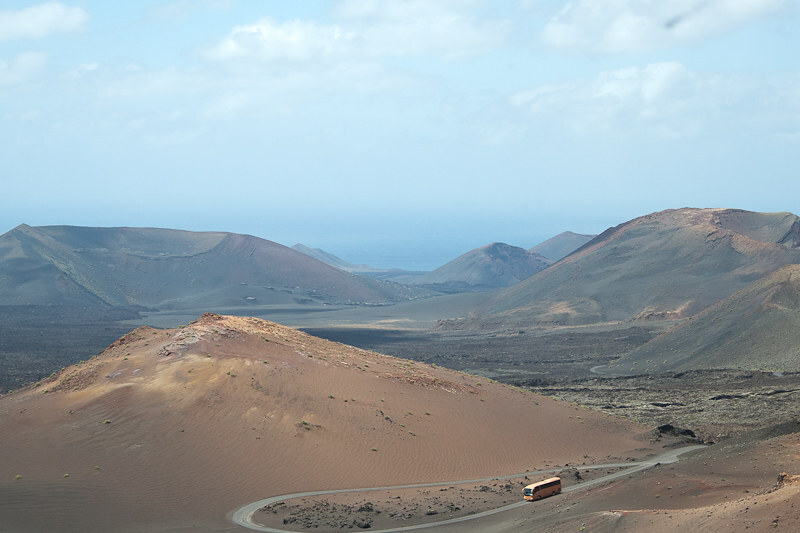 Back in the coach, we headed out for a drive through Timanfaya National Park where we could really see the landscape and the volcanoes. Lots of winding roads, and sometimes driving along a cliff side made this coach trip scarily exciting. Not for those who don’t enjoy heights! We had a recorded tour guide giving us some information (along with some cringy sound effects) and I really enjoyed this bit. I’m a sucker for information. Love it. The bottom photo here is our view from near the top of a mountain/volcano, and that bus was behind us on the route. The tour lasted from 9am to 2pm and whilst bits did feel rushed, I really enjoyed it. 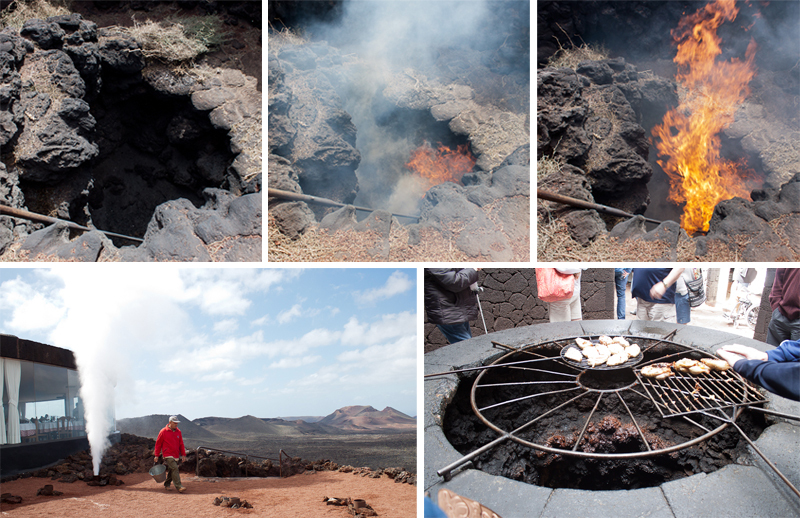 Was super interesting to hear about the history of Lanzarote and it’s land, as well as the few interactive bits. I’d definitely recommend doing a tour like this if you visit the area. How about you? 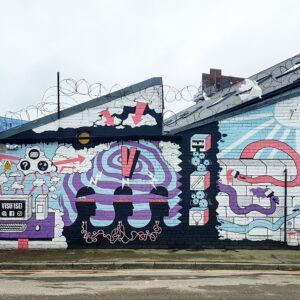 Been on any interesting tours lately?